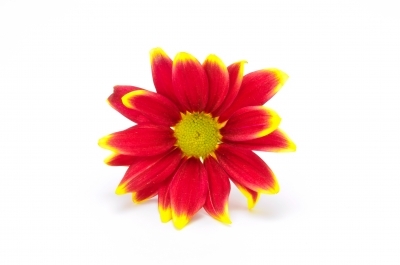 The giving of flowers as gifts to celebrate birthdays is believed to have started during the Roman Empire. Roman birthday celebrations were when family and friends would gather together with gifts. Those gifts were often in the form of flowers and birthday celebrations were not just for individuals, they were also a way of honouring Roman Gods with altars decorated with flowers. During the Victorian era a language of flowers was developed. As the time was conservative, etiquette dictated that the expression of love or affection was taboo. Specific flowers eventually had a meaning attached to them to allow the passage of a secret, personal romantic message between two lovers. The introduction of the Language of Flowers is credited to Mary Wortley, Lady Montague, the wife of the Ambassador to Turkey. Her ‘secret messages’ were first used in England and gained popularity with many cultures. 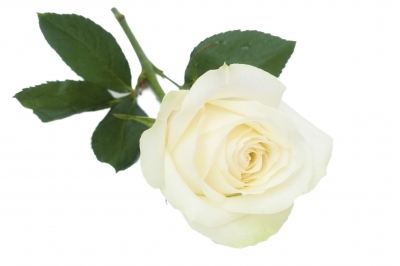 The word used to refer to plants is ‘flora’ and that was the name of the Roman Goddess of Flowers. A Flora Festival, known as Floralia, was celebrated in early spring and centred on flowers and two temples were dedicated to Flora in Rome. This Eurasian plant has a spice scent. 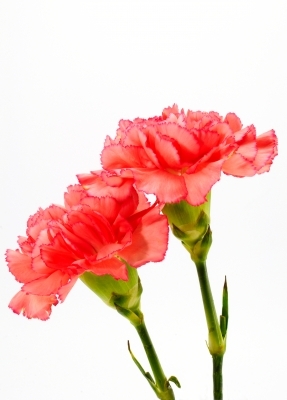 The carnation, also called the Clove Pink or Gillyflower, can be found in numerous colours ranging from pink to purple-red and are said to symbolize love, fascination and distinction. Some of the specific messages attaches to Carnations include “My Heart Aches For you” (red), “I’ll Never Forget You” (pink), “You Have Disappointed me” (yellow) and “I Wish I Could Be With You” (striped). 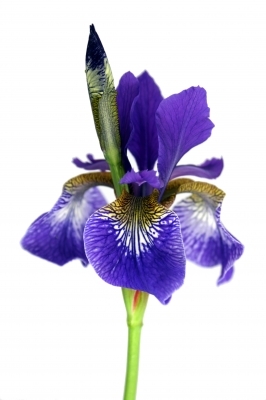 This is a low, herbaceous plant that comes in various shades of blue, mauve, yellow and cream as well as several species identified as pansies and symbolize faithfulness, humility and chastity. Hidden messages of the Violet included “I’ll Always Be True” (violet) and “Let’s Take A Chance” (White/Cream). 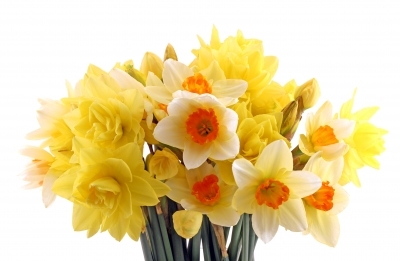 The daffodil, also known as Jonquil or Narcissus, is often recognized as a yellow flower but other colour varieties are white and orange. 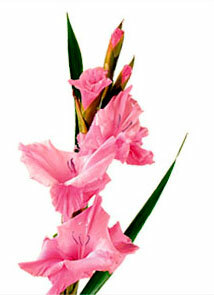 It is a widely cultivated ornamental plant with clustered flowers and a trumpet shaped central crown. This fragrant flower is native to southern Europe. Sweet Pea: The fragrant pastel coloured flowers of this climbing garden plant make it extremely popular. The sweet pea appears in a wide range of pastel colours and also blooms in two-tone varieties and symbolizes pleasure or good-bye, which explains the message “Thank You For A Lovely Time” attached to the flower. The Latin ‘lathyrus odoratus,’ which means ‘pea’ and ‘fragrant’ is how the sweet pea was named. 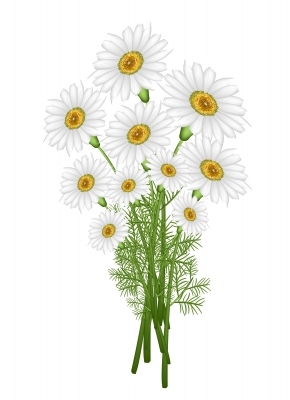 Daisy: Who has not made a daisy chain before? I was forever making them as a kid at my grandparents home. 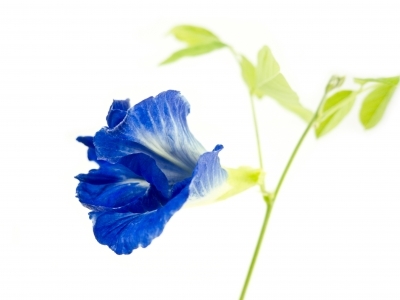 They have several meanings which include, cheerfulness (all those amazing colours), innocence (thanks to it being such a child focused flower), purity and beauty. 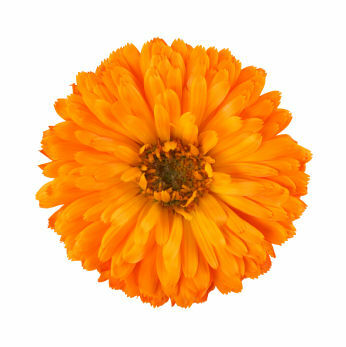 It is also Queen Victoria’s favourite flower. They were discovered in South Africa by Scotsman Richard Jameson but their have been stone carvings featuring daisies that go back to 3000BC. This low growing perennial plant has small fragrant bell-shaped flowers and two large oblong lanceolate leaves and bloom in white. 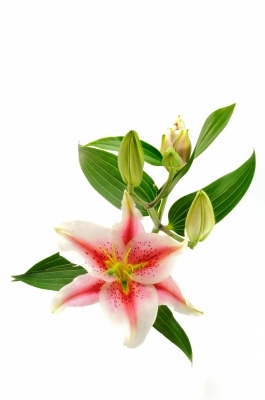 Latin words ‘maius’ (May) and ‘anthemon’ (flower), a reference to when this plant blooms, is how it was named. Lily of the Valley symbolizes sweetness and humility and “You’ve Made My Life Complete” is the hidden message connected to the flower. 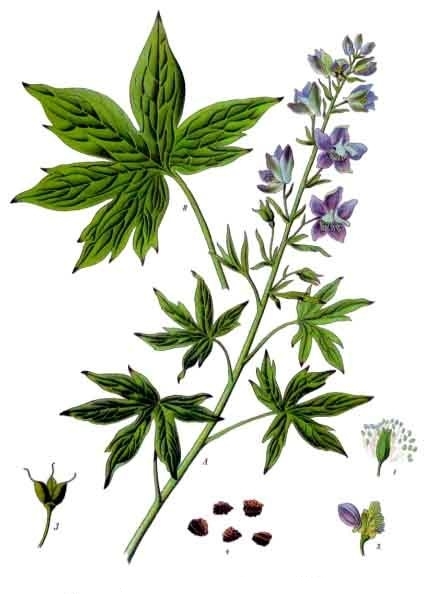 The spur of the flower, which is reminiscent of parts of a lark, created this flower’s name. The Greek word for ‘star’ is how this plant was named, as the shape of the flower head resembles a star. This mostly perennial plant is also called the ‘mum’ and symbolizes cheerfulness and love and bloom in colours ranging from pink and red to white and yellow as well as mauve and orange. 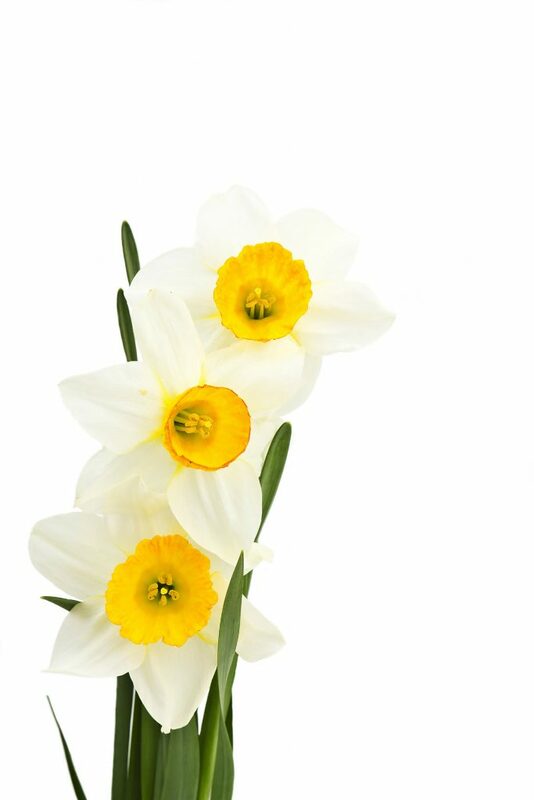 Narcissus: also known as the daffodil, is a bulbous plant with tall linear leaves with bright yellow or white flowers and is said to symbolize sweetness and is native to the Mediterranean with some species in Asia to China. 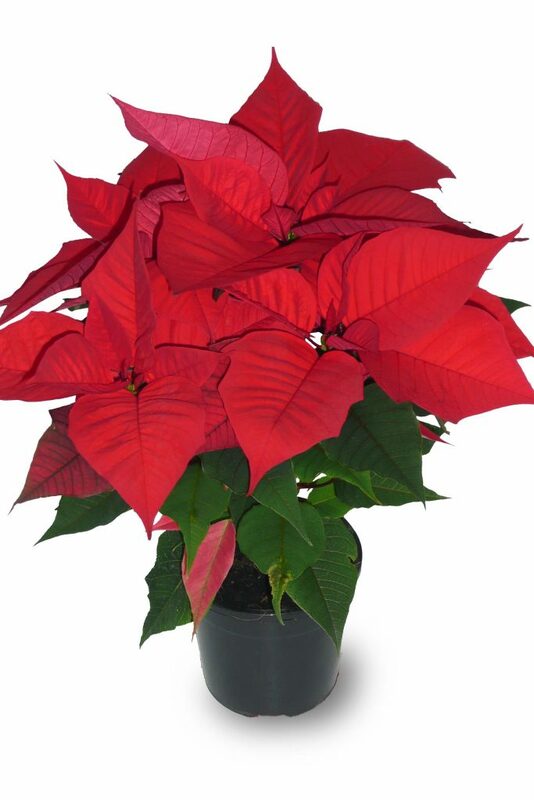 Poinsettia: You will have seen these every year around Christmas. In fact, I love using them as my Christmas table center piece. I did not know until I did some digging (see what I did there, nice pun!) that they were one of the birth flowers. This bright. 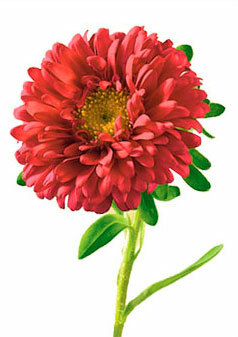 vibrant red and green plant originates from Mexico and Central America. Aztecs used to create red dye from the leaves (have you ever tried this? ).